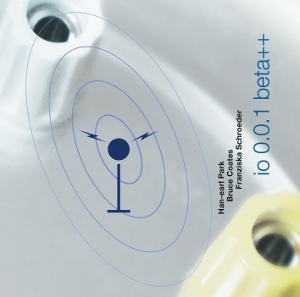 Nothing directly to do with io 0.0.1 beta++ specifically (nor machine improvisation generally), however, this does feature the constructor and the on-stage colleague of io, and was recorded around the time of the Mach 26, 2009 development and testing process of the musical automaton. 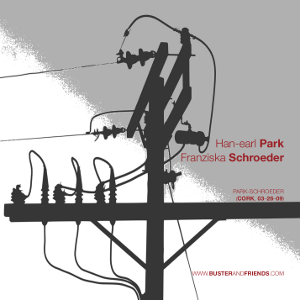 Unlike some of the past download releases from busterandfriends.com, this one, like Sikora-Smith-Park (Cork, 04–04–11), is hosted at Bandcamp, and available as a ‘name your price’ album. You can still download the recording for free (name $0 as your price) with certain restrictions, but your generosity will help support the performers and their work. 09–24–12: correct error in dates in artwork and Bandcamp album data. This entry was posted in and by the way, audio recordings, performance and tagged Áine Sheil, Attribution-Noncommercial-No Derivative Works License, audio recordings, Bandcamp, Chorale, Cork, Creative Commons, Franziska Schroeder, Han-earl Park, Lewis Glucksman Gallery, mp3, Nova, recordings, Scatter. Bookmark the permalink. Post a comment or leave a trackback: Trackback URL.